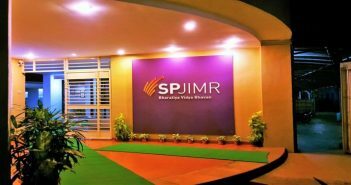 You are at:Home»One year MBA around the world»One Year MBA in USA & Canada»Kellogg, USA»What’s So Special About Kellogg’s 1-Year MBA? 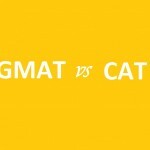 What’s So Special About Kellogg’s 1-Year MBA? The Kellogg School at Northwestern University offers a One-Year MBA program that closely matches the Two-Year MBA program in all respects, except for the summer internships. Matthew Merrick, Associate Dean of MBA operations, says both the cohorts share the same “Kellogg experience” with focus on the customer and getting students to work in a collaborative environment. One of the oldest among the 1-year programs in the US, the classes start in June. Students get accustomed to the rigorous academic pace by finishing three to five courses in the summer itself. In September, they join the second-year Full-Time Program class and complete the electives that match their interests and enhance career goals. After completing the required 15.5 course credits, the students will receive the MBA degree in June, all within a year. 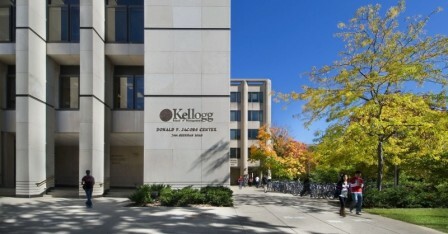 Kellogg’s One-Year MBA also allows students to bypass core classes and immediately go into advanced studies that are customized to individual career goals. The summer quarter begins with required courses in Strategy and Management and Organization and is supplemented with courses in Accounting and Finance appropriate for the student’s level. Accounting and Finance courses may be waived with successful completion of an exam. The flexible curriculum is tailored to fit the student’s needs and future plans. 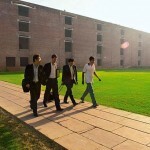 The school catalogue has more than 200 courses that constantly evolve keeping with the business landscape. Students have the option to choose from seven majors: Accounting, Economics, Finance, Marketing, Operations, Strategy and Managing Organizations. A major requires that a student complete the core course for the major and a minimum of four electives. If they choose not to elect a major, “General Management” will be noted on their transcript. In addition to majors, Kellogg provides “pathways” to our students who are interested in building expertise in emerging areas and evolving industries. These include Data Analytics, Entrepreneurship, Growth and Scaling, Health Enterprise Management, Real Estate, Social Impact and Venture Capital & Private Equity. The 1-year cohorts get the attention and tight-knit community of a smaller school over the summer. In the fall, they are able to take full advantage of the several organizations, classes and large network that are only available at a school as large as Kellogg. The 1-year accelerated MBA program of Kellogg School of Business class of 2016 comprises 128 students equally divided at 50% between US citizens and international participants. They have an average work experience of 5 years with work experience in the range of 2-11 years. The international students come from 22 countries. Sponsored students comprise 29% of the class. ALSO READ: WHAT Makes INSEAD MBA Popular? In Geographic distribution by citizenship, while 50% are from the US, students from Asia form the largest bloc at 30% with East and Southeast Asia contributing 16% and Central and South Asia 14%. Mexico, Caribbean and Latin America add up to 12%. Europe comes next at 3% followed by Canada and Africa with 2% each and Middle East 1%. Industry-wise, 32% of the class has Financial Services background, followed by Consulting at 31%. Consumer products occupy the third spot at 14%. While the total cost for a two-year MBA (tuition plus living expenses) is more than $186,000, the one-year program is nearly $60,000 cheaper at around $128,000.